My UK and U.S. hardcover editions of Trigger Mortis by Anthony Horowitz are in the house! Thank you Orion Books and Harper Collins. 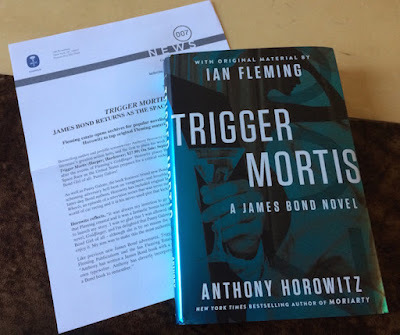 Looking forward to the big release day on September 8th when I will share a my own exclusive Q&A with author Anthony Horowitz. I will then post a (spoilerish) review later in the week. Bond is Back! UK hardcover from Orion Books. 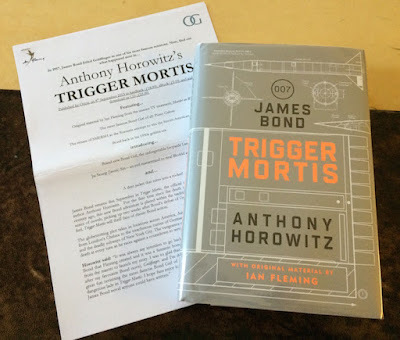 U.S. edition from Harper Collins.